Coach Kevin Dresser has a long history of helping wrestlers become champions. In this informative download, he takes viewers inside one of his practices and explains and demonstrates the details of executing high crotch and single leg techniques. Among the numerous topics covered are: Quick Scores, Working on Speed, High Crotch Finishes, Knee Slide and Double Him Off, Get Back Up To Your Feet, Finish A Back Ankle Single Leg, Same Position Cut Back, The Single Leg Game, Another "Slick" Take Down, More High Crotch Finishes, Crackdown and Control the Legs, Fun Shot - Fun Finish. This comprehensive video can help coaches and wrestlers get the edge on the competition! About the coach: Hired as Virginia Tech’s coach in April of 2006, Kevin Dresser gradually has built the Hokies’ wrestling program into one of the nation’s elite. He was named Atlantic Coast Conference Wrestling Coach of the Year four straight times. In 2016, Dresser was named Coach of the Year by the National Wrestling Coaches Association. 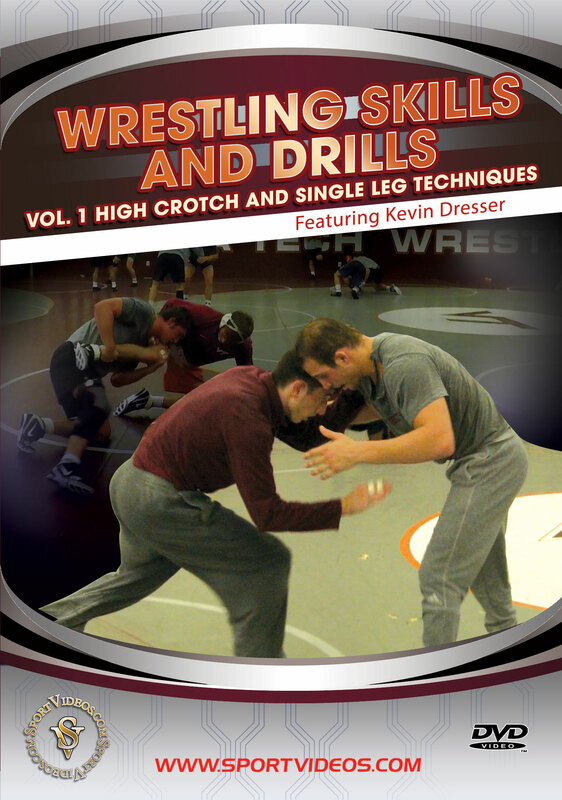 Prior to coaching at VT, Kevin Dresser was head wrestling coach at Grundy High School in Grundy, Virginia. He led the Virginia powerhouse to eight Virginia state titles in eight years. Dresser then moved to Christiansburg, Virginia to take over the wrestling program at Christiansburg High School. He successfully built the team from scratch and led them to five consecutive Virginia state team championships. This video presents a series of foundational exercises designed to increase strength and fitness levels. The majority of the workout is based on progressive bodyweight exercises that can be performed anywhere. Among the topics covered are: various squats, hip hinges, pushing, pulling and carry exercises. This program is a great resource for anybody serious about improving their strength and fitness. 68 minutes. About the coach: Alex Fotioo is the Director of Strength and Conditioning at the University of Central Arkansas (UCA) in Conway, Arkansas. He was an assistant at the University for three years prior to being promoted to Director in 2016. He is Certified through the Collegiate Strength & Conditioning Coaches Association and the National Strength & Conditioning Association. Alex also teaches several Weight Training and Conditioning classes at the UCA .